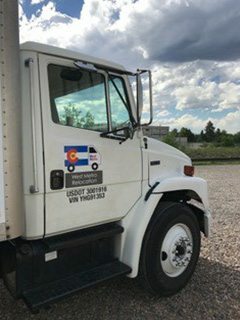 In business since 2007, West Metro Relocation, LLC is a locally owned and operated moving company located in Littleton, Colorado that serves the greater Denver area. With over 50 years combined industry experience in the moving business, as professional movers, in moving services, and affordable movers for Denver, we aim to make moving in Denver as simple and painless as possible. Whether you are downsizing to an apartment, moving your family from Dacono to Denver, or changing business locations, our professional mover will help make it the best Denver move you’ve ever made. QUESTIONS ABOUT MOVING COSTS? WE CAN HELP. We offer a full suite of moving services to Denver residents that our professional movers will execute with efficiency and care as one of Denver’s best moving companies available. Our movers can help transition your Denver home from a smaller to larger home, or even move you from a house into an apartment. Just need a little extra assistance from a professional mover around your Denver home? We offer internal furniture moving services, for small mover needs in you Denver residence. We can move that enormous and daunting furniture upstairs, downstairs and even across the room with an affordable professional mover. Our moving professionals can assist with Pianos, Industrial Appliances and Specialty Items around your Denver home and commercial properties is a service West Metro Relocation can help with. We have a great deal of experience as professional movers, including moving unusual items, like pianos that require additional moving services expertise with Denver’s myriad of properties, and elevations. Packing services are also offered by our professional movers for those residential or commercial customers that need extra assistance around Denver. Our professional movers will pack some or all of your moving items securely for transit, and can even unpack items at your new location as an added moving service for your Denver move. We offer all moving services in Denver for residential and commercial properties. House moves and other moving services are very common, and can be as simple as down the hall or across town. West Metro Relocation is there for all of your moving needs. We are also a commercial moving company in Denver and can provide all the moving services a business needs from downsizing a Denver office to moving to a larger facility, our professional movers can help your company. West Metro Relocation has been helping Denver residence with mover services for a decade. Our moving company in Denver prides itself on being the most affordable movers Denver has to offer. Our competitive rates allow us to be one of Denver’s most affordable moving company. We know that moving, and the associated costs can really add up, so we offer affordable movers to our Denver customers to keep your costs down. While we keep our prices for moving affordable, we maintain a high standard of moving services, and as a moving company in Denver. never use any other mover. Thank you West Metro!"